Questions About The New Federal Rules Amendments on Discovery? – 3rd of 5-Part Guide. ≈ Comments Off on Questions About The New Federal Rules Amendments on Discovery? – 3rd of 5-Part Guide. Questions About The New Federal Rules Amendments on Discovery? – 2nd of 5-Part Guide. ≈ Comments Off on Questions About The New Federal Rules Amendments on Discovery? – 2nd of 5-Part Guide. The current amended Federal Rules of Civil Procedure—and, in particular, those that address the practice of civil discovery—are the product of five years of development, debate, and, of course, dialogue. Now that the Rules are set to be implemented on December 1, 2015 – and they apply to pending cases where ‘just and practicable’ — the focus among attorneys and their clients has changed from what the Rules should say to how they should work. While debates remain as to how certain parts of the Rules will wear-and-tear once put to the test in discovery, there are clear indications within the text of the Rules (with some help from the Committee Notes to the Rules and the contributions of judges and other writers) as to how the Rules will apply. . . .
Today we review: Early Case Assessment. The Amended Federal Rules of Civil Procedure Effective December 1, 2015. ≈ Comments Off on The Amended Federal Rules of Civil Procedure Effective December 1, 2015. What Happens When No Written Notice Is Given To Offer An Exhibit? ≈ Comments Off on What Happens When No Written Notice Is Given To Offer An Exhibit? The original or a copy of a domestic record that meets the requirements of Rule 803(6)(A)-(C), as shown by a certification of the custodian or another qualified person that complies with a federal statute or a rule prescribed by the Supreme Court. Before the trial or hearing, the proponent must give an adverse party reasonable written notice of the intent to offer the record — and must make the record and certification available for inspection — so that the party has a fair opportunity to challenge them. So, what happens if a party does not give reasonable written notice of its intent to offer a business record into evidence but there is evidence that the opposing party had actual notice of this intent? That was the question addressed by the Second Circuit in its recent opinion in United States v. Komasa, 2014 WL 4233396 (2nd Cir. 2014). . . . Proposed Amendments to Federal Civil Procedure Rules Are Close to Approval. ≈ Comments Off on Proposed Amendments to Federal Civil Procedure Rules Are Close to Approval. Committee on Rules of Practice and Procedure (“Standing Committee”) Approves Proposed Amendments to Federal Rules of Civil Procedure, by K&L Gates, posted in FEDERAL RULES AMENDMENTS, NEWS & UPDATES. Garner’s Interview With Appellate Judges On Oral Argument and Brief Writing. ≈ Comments Off on Garner’s Interview With Appellate Judges On Oral Argument and Brief Writing. Judge Pierre Leval of the Second Circuit said the first thing he looks at in a brief is the argument headings ‘to get a sense of what’s involved.’ Then he can read the facts in context. Judge Stephen Reinhardt of the Ninth Circuit likes briefs written in ‘simple, clear sentences.’ And he likes ‘a story that flows so you can tell what it’s about and why . . . something I can follow easily.’ . . .
≈ Comments Off on Skype For Video Depositions? Judge G.R. Smith issued a great reminder that lawyers must ‘stop and think’ when dealing with discovery disputes. This duty is imposed by Rule 26(g) and is ‘an affirmative duty to engage in pretrial discovery in a responsible manner that is consistent with the spirit and purposes of Rules 26 through Rule 37, and obligates each attorney to stop and think about the legitimacy of a discovery request, a response thereto, or an objection.’ Hernandez v. Hendrix Produce, Inc., 2014 U.S. Dist. LEXIS 4837 (S.D. Ga. Jan. 9, 2014) citing Bottoms v. Liberty Life Assur. Co. of Boston, 2011 U.S. Dist. LEXIS 143251, 2011 WL 6181423 at * 4 (D. Colo. Dec. 13, 2011). The case at issue requiring lawyers to ‘stop and think’ involved the plaintiffs in a farmworker rights lawsuit. Three of the plaintiffs were in Mexico and unable to return to Georgia for their depositions. The Defendants wanted the depositions to be held in Georgia. . . .
Latest Ninth Circuit Decision on Rule 26 Discovery From Testifying Experts. 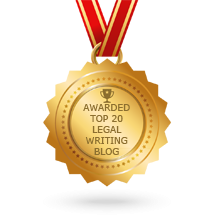 ≈ Comments Off on Latest Ninth Circuit Decision on Rule 26 Discovery From Testifying Experts. [A] new Ninth Circuit decision about the scope of expert discovery in federal court caught our attention. The decision in Republic of Ecuador v. Mackay, No. 12-15572 (9th Cir. Jan. 31, 2014) poses the question: where the expert has served both as a confidential advisor to counsel and as a testifying expert, may counsel withhold documents shared with the expert by asserting an opinion work product objection? The short answer is no—documents from testifying experts must be produced unless protected by Federal Rule of Civil Procedure 26(b)(4). Counsel Scalded by Federal District Court’s E-Discovery Opinion. ≈ Comments Off on Counsel Scalded by Federal District Court’s E-Discovery Opinion. Lest anyone think that hair-raising e-discovery sanctions opinions are a thing of the past, U.S. District Judge David Herndon of the Southern District of Illinois issued a blistering 51-page opinion (PDF) imposing nearly $1 million in punitive sanctions on the defendants in In re Pradaxa Products Liability Litigation on Dec. 9, 2013, and indicated that more sanctions are almost certainly on the way. The case is an example of how electronic data discovery generally, and implementing legal holds in particular, can be fraught with peril. Was It Appropriate to Produce Word Documents as PDF Files? ≈ Comments Off on Was It Appropriate to Produce Word Documents as PDF Files? Magistrate Judge William Hussmann put a new spin on form of production analysis in Crissen v. Gupta: What form was discovery in and when was it in that form? Changes To Federal Subpoena Amendments Effective December 1, 2013. ≈ Comments Off on Changes To Federal Subpoena Amendments Effective December 1, 2013. On December 1, 2013, some of the most long-awaited changes to the Civil Rules will take effect – the proposed amendments to Rule 45, which governs the use of subpoenas in federal civil actions. The major changes to Rule 45 include: (1) simplifying the rules regarding the court issuing a subpoena, (2) highlighting the notice requirements for document-only subpoenas, (3) clarifying the circumstances under which an officer of a party may be compelled to testify at trial, and (4) permitting the transfer of motions regarding enforcement of a subpoena. We highlight the substance of these changes below, and provide a brief update regarding the status of the Discovery Amendments. Judge William Orrick summed up a basic truth of eDiscovery: In the age of electronically-stored information (“ESI”), production of all relevant, not privileged and reasonably accessible documents in a company’s custody and control is easier said than done. Banas v. Volcano Corp., 2013 U.S. Dist. LEXIS 144139, at *5 (N.D. Cal. Oct. 4, 2013). Judge Scheindlin and the Second Circuit to date. ≈ Comments Off on Judge Scheindlin and the Second Circuit to date. More on the situation in the 2nd Circuit. What do you think about the Second Circuit’s removal of Judge Shira Scheindlin? 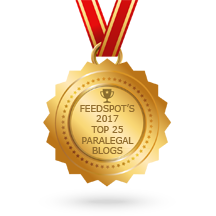 ≈ Comments Off on What do you think about the Second Circuit’s removal of Judge Shira Scheindlin?